“For those of you that are not aware, there was a demonstration outside of my Macomb office on April 17 from 4:00 to 5:00 PM. As a result, I wanted to address not only these passionate constituents but all of the citizens of the 93rd District to provide an update on the Spring Legislative Session. I’d like to thank all of the constituents who have reached out to me and continue to do so through these trying times. 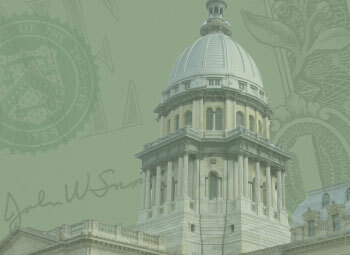 The concerns continue to be well-recognized by all Illinois residents. The top, salient concern continues to be that Illinois does not have a budget, which in turn leaves social services, higher education, services for seniors, and so much more underfunded or, in the worst case, completely unfunded. For the past two years, I have repeatedly called on our state leadership (i.e., leaders of both parties in the House and Senate, and the Governor) to negotiate a compromise and comprehensive budget. Unfortunately, even with these efforts, some members have not been able to negotiate and/or compromise in good faith, which has ultimately resulted in this ridiculous impasse in which we find ourselves. In addition to regularly calling on leaders to negotiate and compromise – that is, agree to terms no one necessarily prefers but nevertheless settles in order to end this impasse – I continue my attempts at working with rank-and-file members to come up with consensus on different portions of budgetary items. To be clear, by budgetary items I am referring to bills that will have a significant fiscal impact to the state. For example, there has been a large consensus in the House and Senate that Illinois absolutely needs constitutional pension reform in order to address the near $130 billion unfunded liability. There have been agreed upon terms concerning pension reform for the last 9 months, at least, and we, the members of the General Assembly, are unfortunately not having an on-the-floor discussion or taking votes on this issue. Instead, as we saw at the beginning of this month, we participate in inadequate debates about incomplete bills with no negotiation or compromise. In my opinion, this type of finger-pointing and, frankly, disrespect needs to end in order for all of us – Democrats and Republicans, House and Senate and the Governor – to come together and do what is right for the state. Moving forward, I will be even more vocal than I have been in the past about these efforts. Another concern that was brought up by protestors on Monday is transparency. I hope some of the previous comments help to again explain what I have been doing to move a budget forward more transparently. It’s important to understand that it’s the citizens of Illinois and not just a legislative minority who suffer when the state budget is handled in the very untransparent manner in which it’s been handled for too many years. I continue to lead the efforts to add transparency to our legislative process in Springfield through supporting far more transparent House Rules. Additionally, from the request of a constituent, I created a public Facebook page where I can disseminate more information about what I am doing and what is happening in Springfield. There I cover everything from the bills I am sponsoring to explaining my votes and everything in between. In another effort to increase office’s transparency I plan to provide more website updates and press releases so that the constituents of the 93rd, especially those who are not on Facebook, can receive updates on what I am doing to represent this great district and other pertinent happenings in the district and state in this cost-effective manner. Furthermore, I want all of the constituents of the 93rd District to know that I am supportive of funding social services and higher education as well as other important budget priorities for our region. In fact, I have regularly requested to continue to serve on Human Services and Higher Education committees because I am dedicated to these aspects of the state. I care deeply about the vital social services Illinois provides and the first-rate higher education system within the state. And, moreover, this is exactly why I believe we should fund them adequately and through a comprehensive budget plan that allows our social service agencies to operate at full strength and our institutions of higher learning to plan for the future and attract eager students and gifted faculty. If there are to be cuts, we should be forthright about them and then enact budgets that allow our institutions to plan accordingly and not be in continual crisis mode jumping from one stopgap to the next. It is unfair and poor public policy to allow this to continue.